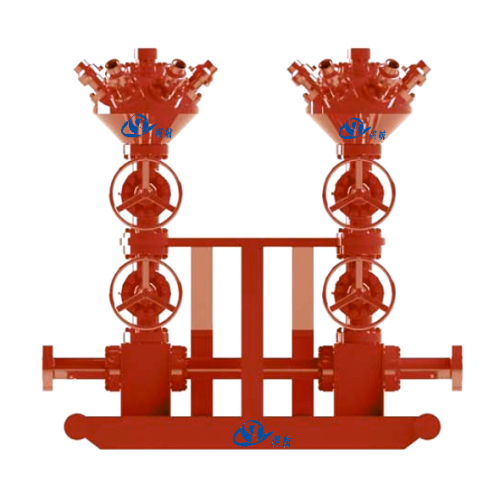 Drilling Fluid Manifold, or Mud Valve Manifold, is widely used in onshore drilling platform and offshore platform. 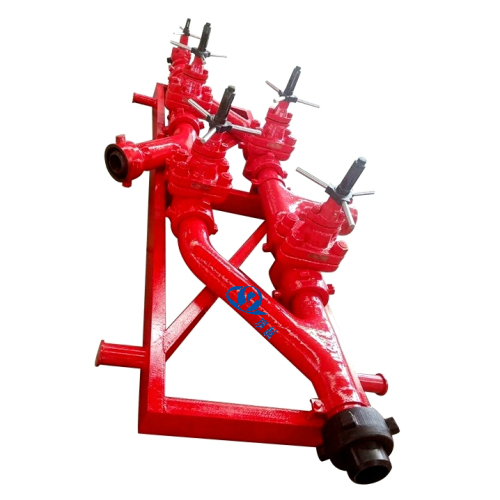 The drilling fluid manifold is one of main devices for jet grouting well drilling. 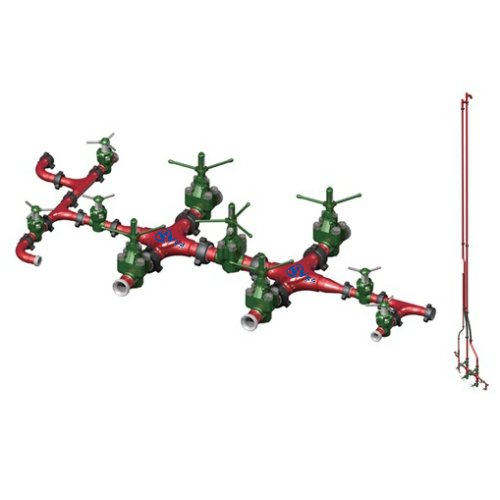 It gathers mud discharged from 2 or 3 slush pumps and transmits it to well and mud gun through pump manifold and high pressure pipe. 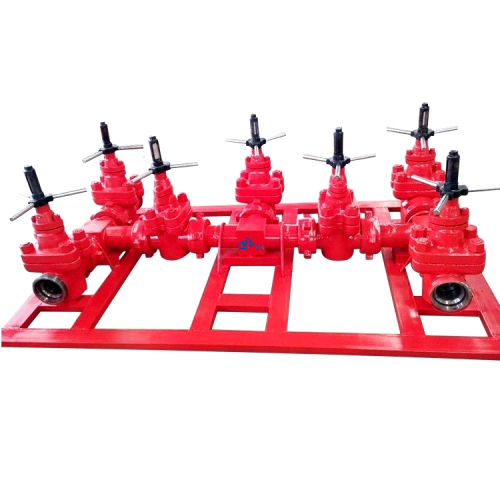 Under the control of high pressure valve, high pressure mud fluid is inputted to drilling pipe inwall to spurt from drilling bit and produce high pressure mud stream and realize jet grouting well drilling finally. 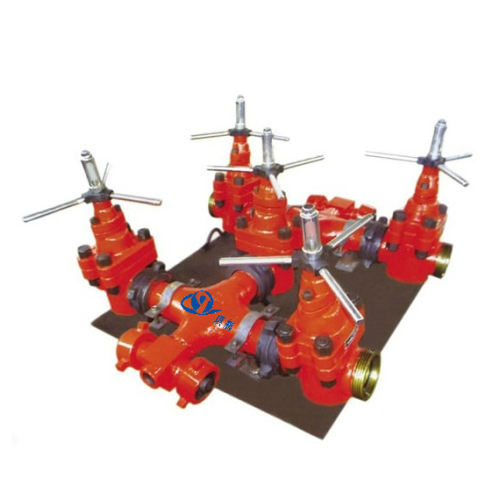 Mud Valve Manifolds mainly consist of mud gate valve, high pressure union, tee, high-pressure hose, elbow, pup joints, pressure gauge etc . They are specifically made for mud, cement, fracturing and water service and feature easy operation and simple maintenance. 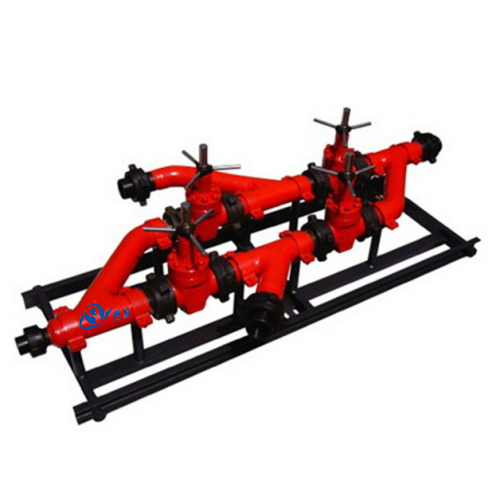 Qihang's Drilling Fluid Manifolds-Mud Valve Manifolds are fully designed, manufactured, and tested in accordance with API Spec 6A and API Spec 16C standards. Bore sizes are available in 2-1/16", 3-1/16", 3-1/8", 4-1/16", 5-1/8" with working pressure at 5000PSI, 10000PSI, and 15000PSI. 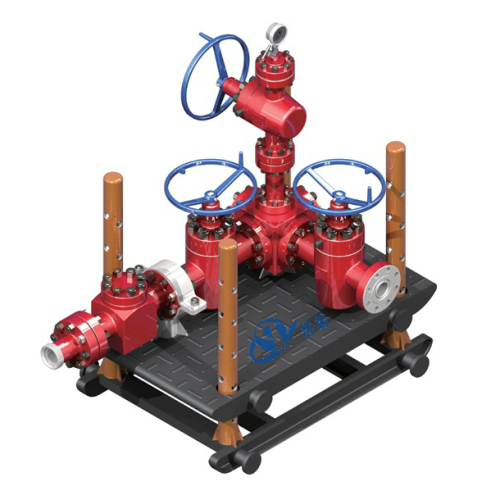 Customized sizes and other pressure ratings are available upon request. 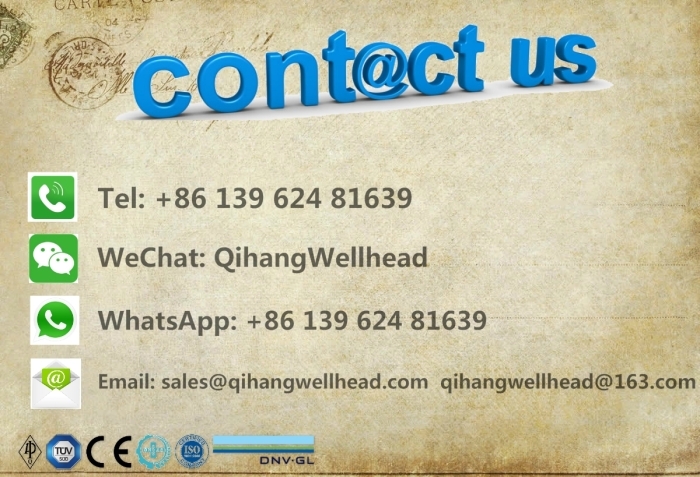 As a professional manufacturer of Wellhead Xmas Tree, Casing Head Assembly, Tubing Head Assembly, Casing Spool, Tubing Spool, Frac Tree, API-6A Gate Valve, Mud Gate Valve, API-6A Flange, Blowout Preventer, High Pressure Pipes & Fittings and so on. 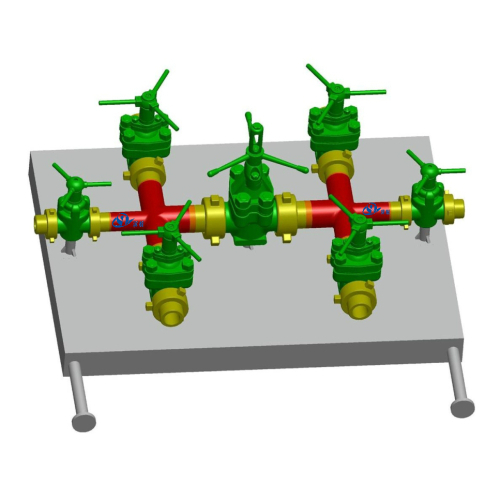 Aside from Drilling Fluid Manifolds-Mud Valve Manifolds, we also produce Choke Manifold, Kill Manfold, Frac Manifold, MPD Manifold and many other types of manifolds for the Oil & Gas drilling and production applications. 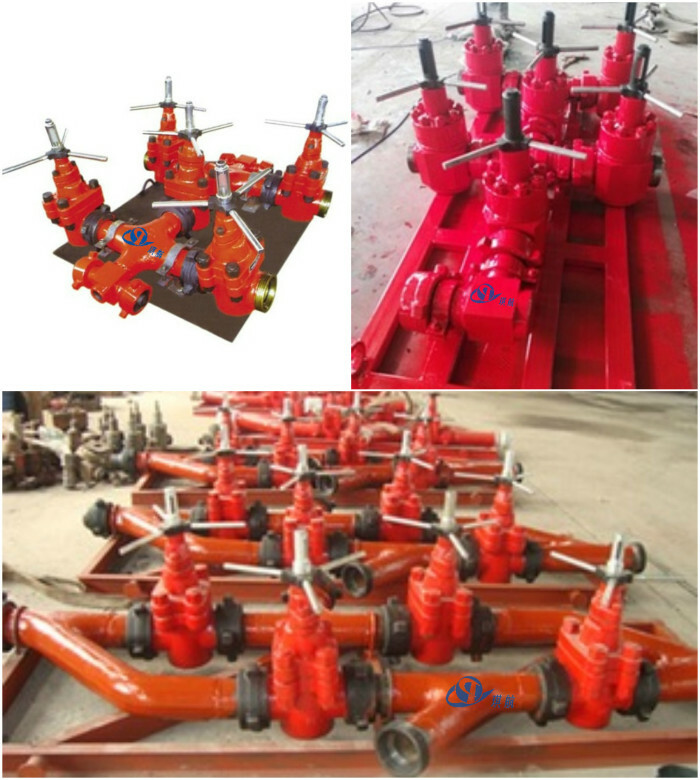 Main Parts: Mud Gate Valve, High Pressure Union, Tee, High-Pressure Hose, Elbow, Pup Joints, Pressure Gauge, Skid, Flange etc. 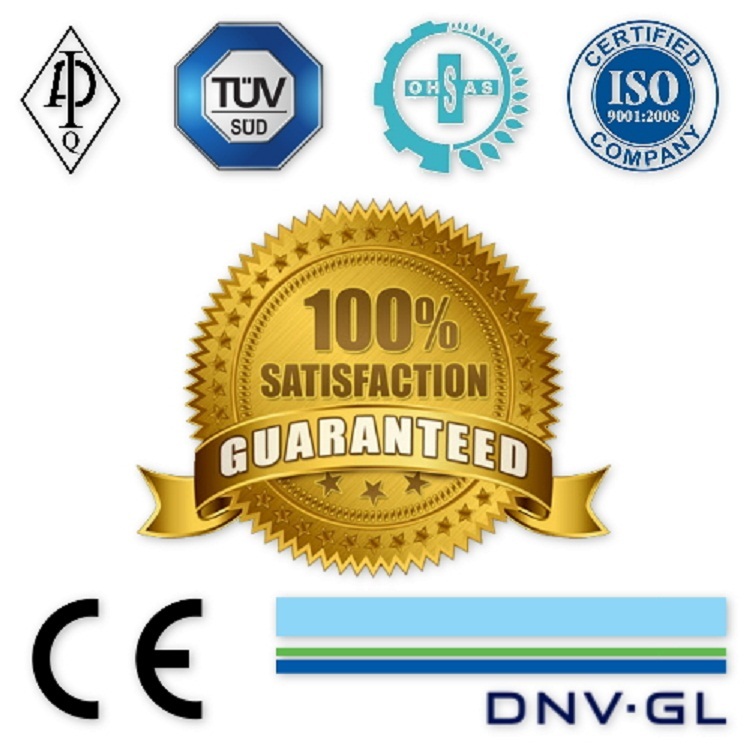 Traceability: Qihang's Drilling Fluid Manifolds-Mud Valve Manifolds are supplied with full traceability documentation for each component. 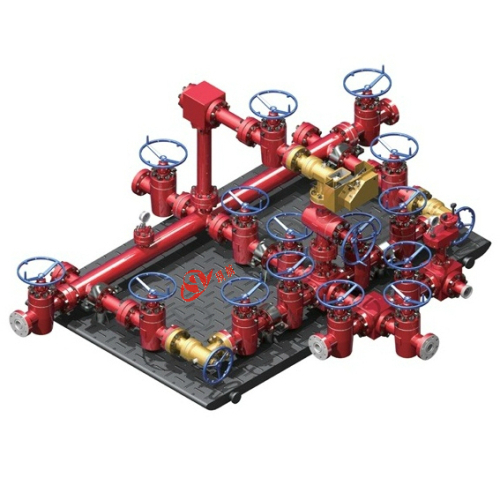 Qihang produces Top-Notch Quality API 6A API 16C Drilling Fluid Manifold-Mud Valve Manifold at Truly Competitive Prices.